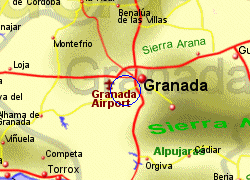 Granada golf course, designed by Emino Mena & Ramon Espinosa, is situated 8 Km south west of the centre of Granada city. 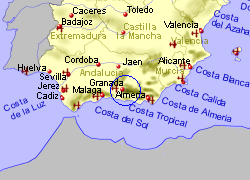 This is a fairly flat course with distant views to the sierra Nevada. 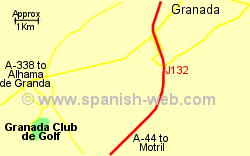 Facilities include a golf school, driving range,putting green, pitching green, practice bunker, bar/cafe, restaurant. 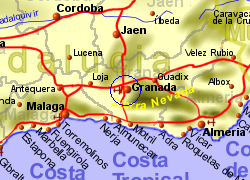 Map of the Granada area.